Joe is a UCLH NIHR Biomedical Research Centre Senior Clinical Fellow the UCL Division of Psychiatry and a Consultant Psychiatrist in Camden and Islington Foundation Trust. He uses routine data from primary and secondary care electronic health records and population cohorts to further our understanding of the epidemiology of mental health problems. He has completed a number of studies of adverse effects of psychotropic medications. He is also interested in the pharmacoepidemiology and physical health effects in severe mental illness, and the social determinants of severe mental health problems. He is Trainee Editor of BJPsych. Joseph Hayes and Sameer Jauhar set the record straight on antidepressant withdrawal. They show how the recent review by Davies and Read is seriously flawed and does not accurately portray the data. 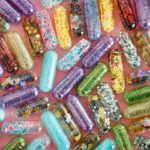 They conclude that we urgently need clearer evidence on the incidence, severity and duration of any symptoms related to antidepressant withdrawal. 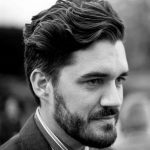 Joe Hayes summarises a new meta-analysis in the British Journal of Psychiatry that shows how the initial severity of depression does not alter the efficacy of cognitive behavioural therapy. 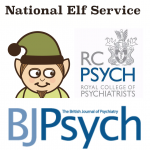 This is the first in a new series of Mental Elf blogs produced in partnership with the British Journal of Psychiatry. 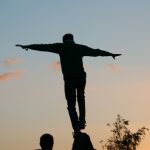 Joseph Hayes summarises the recent British Association for Psychopharmacology guidelines for the treatment of bipolar disorder, and compares their recommendations with those found in the NICE bipolar disorder guidance from 2014.